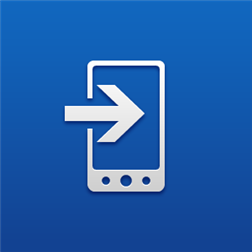 If you are switching from an old Android phone to a new Windows Phone device, one of the first things you will want to transfer are "Contacts". For the first time users, the process can be quite irritating and might think, they took a wrong decision buying one, but hey, don't worry. In this post , i am going to share some tools to make transfers quick and as easy as possible, and believe me, these are official and you are gonna love it. This is a very neat and clean app which uses Bluetooth to copy contacts from almost any phone. Transfer my Data is a quick and easy way of copying contacts from almost any phone (Symbian, Android, iOS, BlackBerry, Windows Phone and others) to your new Windows Phone using Bluetooth. Some phones may also be capable of transferring text messages and pictures, including many Lumia phones. Transfer my Data copies all your contacts into the Windows Phone People Hub, from where it’s easy to call, mail, chat or follow friends on your favourite social network. On supported phones, contacts and messages can also be transferred to and from an SD card. This is a more powerful application by which, you can not only transfer contacts but email address, calendar events, photos and albums, songs, videos and including iTunes. It supports both WP7 and WP8 devices. You can download the app from mark/space, which is a privately owned company and a leading developer of cutting edge synchronization and productivity software applications. In order to download, you will want to enter your name and e-mail address. On the next screen, choose the operating system to use on. On Windows, the download is 24MB. I hope these apps will help you to make a switch real easy and fun!